Christianity cannot take the place of thinking, but it must be founded upon it. Albert Schweitzer. Morrison Lee lives in South Korea and has a background in Communications, Theology, and Analytic Philosophy. He lectures in Rational Preterism – the measurement of Preterism by right thought. In endtimes there are, most simply, three competing schemas of prophetic fulfillment, each with variations; firstly the Futurist view, secondly the Partial-Preterist view, and thirdly the Preterist (past) view. Together they teach all, some and none respectively. The Futurist view asserts all the biblical facts of the second coming point to our future. The compromise Partial (part past, part future) view asserts some facts are past, and some point to our future. The Preterist view asserts no biblical prophecy remains to be fulfilled. For simplicity of discussion both all future and some (partially) future are grouped together, both asserting a future second coming beyond the span of 2,000 years between the bible authors and now. Q. What are the seven main assertions of Futurist theology? 2,000 year period of time asserted. 2. Jesus’ coming Personally’ ‘Physically’ and ‘Visibly’ asserted. 3. ‘Delay’ in coming asserted. ‘Many comings’ asserted by partial school. Asserts Jerusalem temple to be destroyed future to 2008. Q. What are the seven main assertions of Preterist theology? Things promised and written to that generation fulfilled to them. All knowledge is an acquaintance with facts, and all biblical knowledge is an acquaintance with biblical facts. A thing cannot be said to be ‘biblical’ unless there are biblical statements in the same terms to declare it so. The only objective measure of biblical-reality is this correspondence between statement with biblical fact in the same terms. This means that 2000 years can only be ‘biblical’ if a chronological term equal to 2000 years is observable in the Bible; again, a delay is only ‘biblical’ if a delay is observable in the Bible. The rule here is correspondence between statement and fact in the same terms. Which of the three explanations is ‘biblical’ by the measure of a correspondence between assertion and biblical fact in the same terms? Futurism. What occurs when we apply the rule – does the assertion correspond with bible facts in the same terms - to the futurist view? No 2,000 year facts are observable in the bible. Jesus coming ‘literal.’ ‘Literal’ occurs nowhere in the biblical datum. ‘Many comings’ asserted by partial school. ‘Comings’ occurs only once in Ezek 43:11 with no observable relation to second coming. No Jerusalem temple exists in 2008 to be destroyed. #1 In futurism the passing of 2000 years after the first coming is a necessary concept, yet no single biblical fact exists to prove #1. 2000 years because “it is literal” is assumed, yet 2000 years is nowhere observable in the facts. #2 The terms found in the statements of #2 are nowhere observable in Strong’s exhaustive concordance of the KJV bible. I challenge you to do the experiment with Strong’s concordance. For example futurism asserts Jesus will return ‘Physically.’ In Strongs’ the term ‘Physically’ should occur alphabetically between ‘Phylacteries’ and ‘Physician,’ correct? ‘Physically’ is not there, because no such term as ‘Physically’ occurs in the bible! Do the experiment: look it up - ‘Phylacteries’ in Strong’s is followed immediately by ‘Physician.’ It is not there because it is a human invention, and similarly ‘Personally’ and ‘Visibly’, yet these three terms lie at the foundation of futurism. #3 Again the assertion of a ‘delay’ corresponds to no observable bible fact in the same terms, in fact the bible author of Hebrews asserts precisely the contrary of what is asserted in #3, that there would be no delay. Heb 10:37 - ‘For yet a little while and he that shall come will come, and will not tarry’ [delay] Statement #3 of futurism fails on two counts of objectivity: (i) it cannot justify itself on evidence and (ii) it actually denies the bible statement; ‘He shall not tarry’ [delay], scarcely a ‘biblical’ proof to convince the candid enquirer, but essential to the ‘literal and therefore future’ theory. #4 Here no objective division between passages is made by any biblical author, nor are any divisions suggested by biblical time facts at those places where a future division is supposed to occur. Lacking biblical statements for these claims, they must remain conjectural and merely mental constructs to prop up literalism. #6 Another error is the claim of a plurality of Jesus’ second comings. The claim corresponds to no relevant statement in biblical observation. Comings is only found once in Ezek 43:11, and merely relates to the progress of priests and their goings out thereof and their comings in therefrom, a context disconnected entirely from a discussion of the second coming. Further, a plurality of comings makes the term a ‘second’ coming a meaningless nonsense. ‘Many second comings’; eg.a ‘third’ or ‘fourth’ second comings? It is another fact-less device to prop up a literalism absent from the facts it claims to present. #7 In AD 70 the holy city of Jerusalem was utterly desolated and never rebuilt. 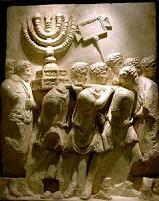 (See Josephus’ Antiquities and Wars of the Jews). Futurism places more emphasis on reading the scuttlebutt of modern-doomsayers in daily newspapers than reading the history of Jesus’ own generation. What happens when we close the newspaper and look at history? To this near correspondence between biblical prophecy and fulfilled history futurism attaches no significance at all, revealing that historical ignorance is the true basis for futurism. The need to re-build a 1st century temple (so it may be re-destroyed in the 21st century) to prop up a theory lacking facts is so silly as to be almost fabulous. It is further evidence of futurism’s inferior explanatory power: it cannot explain the deeper significance of bible facts. These seven topics are major tenets of the futurist theory of the second coming. Things promised and written to that generation had a first meaning to them. A standard principle of modern historiography. Correspondence between statement and biblical fact in the same terms. #1 Things promised and written to that generation had a first meaning to them. In thought the simplest view is always to be preferred. This principle is called Occam’s razor, where no more complexity is introduced than what the facts allow. #2 Preterism simply accounts for genuine time facts relative to the time they were written, thus the generation spoken to is the same generation as ‘this generation’ to whom the things were promised. This is called ‘fact-for-fact’ correspondence’: it is express. The same also with statements #3 and #4. #5 Asserts that the Jerusalem temple - which contained the institutions of Moses - also maintained them. This means that because the Mosaic covenant is in the Mosaic temple, the temple supports the Mosaic age. The conclusion is that when you end the temple you end the age. This is correspondence between statement and fact in the same terms. #6 Explains the reason for #5 - the temple and the age end together – the reason being that the covenant was located in the Jerusalem temple. 1 Kings 8 – 9:1-9. #7 Asserts that Jesus’ divine revelations to His generation may be answered by a correspondence with the historical state of affairs in that generation, (Josephus. Antiquities, Wars) which restores the prophetic credibility futurism steals from Jesus. Clearly a Preterist (past view) has far more explanatory power of the temple’s historical and redemptive significance than futurism, and posses the firmest foundation in fact. Where biblical objectivity is measured by a correspondence between statement and biblical fact in the same terms, it must be concluded by all candid observer that the yet future premises are embarrassingly absent in every particular, while first century (Preterist) assertions are, by observation, legitimate statements of biblical authors. Futurism springs from a rigid literalism which conjures, as if by magic: a delay not observable in the datum, gaps which correspond to no biblical datum in the same terms, multiple and fictitious comings which correspond to no biblical datum in the same terms, and the magical reappearance and re-destruction of a temple destroyed 2000 years ago. The most disturbing particular is that none of this speculation matches observable biblical fact (in-the-same-terms) at any single point, yet its followers claim complete certainty for it. The basis for all this mental machinery is literalism. Proof of futurism’s entire structure is silence: Jesus hasn’t come back yet has He? The problem here is that the conclusion cannot be falsified or proven, even after 2000 years of failure. For 2000 years futurism has ignored the past and gazed off into the dim future offering; fictions instead of biblical facts, conjecture for proof, unbiblical terms as evidence, novelties like ‘comings’ as truth, and excuses like Christ was ‘delayed’ to explain its weakness. The yet future to us view reminds one of a wobbly shack on a loose foundation, propped up by human buttresses and broken beams glued together and taped up, a patchwork of inventions. The real problem of futurism is not the formwork but the foundation of Knowing: it is not founded on any real, solid, biblical fact. While little known and unfamiliar at present, Preterism possesses the singular merit of objectivity as the basis for a more rational and biblical explanation of the end time facts. I recommend it to the impartial Christian. Campbell, A. The Millennial Harbinger. 1831 Reprinted College press 1987, Mo..
Popper, K.R. Conjectures and Refutations. Routledge, 5th ed revised 1989 UK.